PAO Gazprom is a global energy company. Its focus is on geological exploration, production, transportation, storage, processing, and sale of gas, gas condensate, and oil, the sale of gas as motor fuel, as well as the production and sale of heat and electricity. 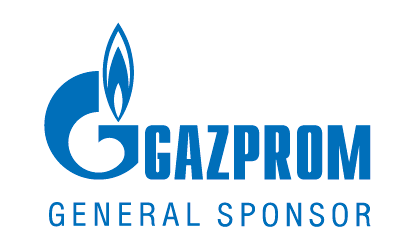 Gazprom is a holder of the world's richest natural gas reserves and a leading producer of the same. It supplies gas to consumers in Russia and more than 30 countries near and far abroad. It is the largest exporter of gas to Europe. Gazprom is one of the leading producers of oil and electricity in Russia and ranks first in the world in terms of heat generation. Utair is ranked among Top 5 Russian air carriers. It offers flights to 150 destinations; more than 60 of them are available to Utair passengers only. In 2017, the airline's passenger traffic increased by 9.7% to 7.3 million passengers due to increased loading and effective fleet management. In 2017, Utair became the industry leader in terms of punctuality: 98.8% of flights were as scheduled. The Utair aircraft fleet numbers 66 planes. The main transfer point is Moscow Vnukovo Airport, which accepts more than 160 UTair flights daily. Utair is headquartered in Surgut. 2GIS is a technology company and a provider of services for comfortable city life. It is ranked among the Top 10 most expensive Runet companies (Forbes, 2018). Its main product is a 2GIS service incorporating a map, list of businesses, and a navigator. The service is available offline in mobile apps and online at 2gis.ru. The scope of the service covers more than 370 cities. The 2GIS consumers number more than 45 million users per month.